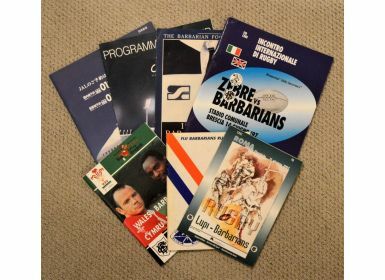 Barbarian Rugby Programmes at home and abroad (7): At Brescia v Zebre (large) and at Rome v Lupi 1997; v Wales at Cardiff 1996; v French Barbarians at Stade Charlety, Paris, (50th Anniversary of Liberation), 1994; v Kansai RFU President's XV (Japan, Kobe Earthquake Appeal), 1996; Fiji Barbarians S America & Europe Tour Brochure 1986; and Rugby World's 100 Years of the Barbarians Supplement. VG. 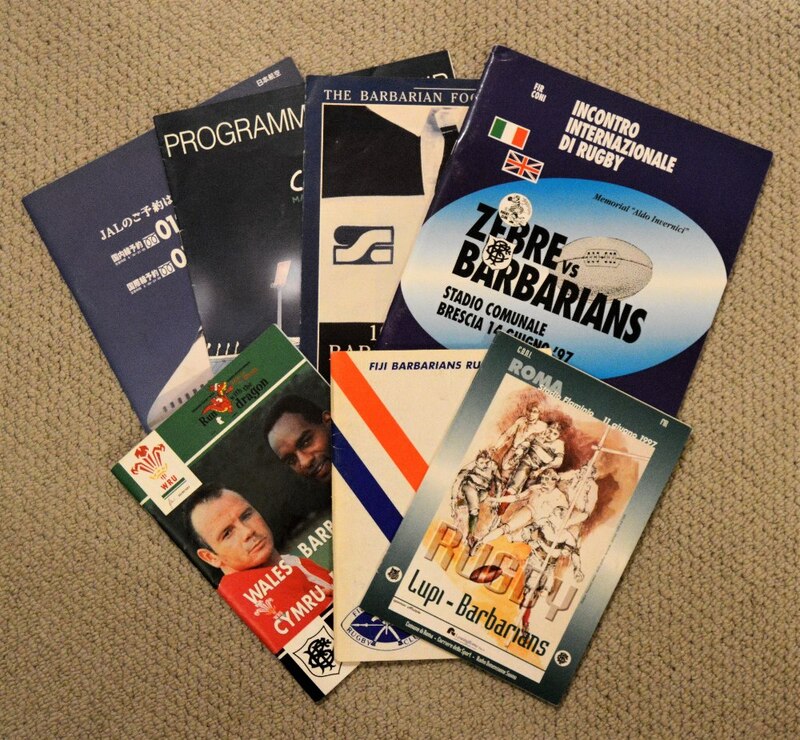 Sign up if you would like to be notified of upcoming sales.